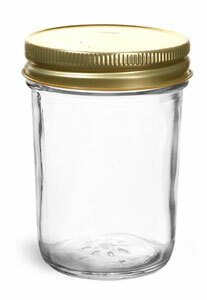 The clear glass jelly jars are available with 70G Gold Metal Plastisol-Lined Caps. 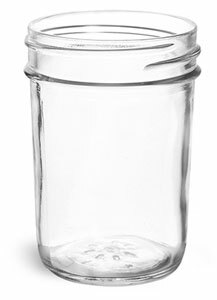 The clear glass jars might be great for jams, jellies, sauces and more. The gold caps make for very elegant closures for many products.